Over the last 30 years, finance capital has become dominant in the leading capitalist economies, outstripping the industrial elite in power and influence. This development has led to the increasing subjection of the productive sector to the volatile dynamics of the financial sector. The centrality of finance in today’s global economy is revealed by the increasing frequency of major financial crises, which have inevitably been followed by recessions. Since the liberalisation of capital markets began during the Thatcher–Reagan era in the early 1980s, there have been at least 12 major financial crises, the most recent being the Global Financial Crisis of 2007-2008, which also provoked what is now known as the Great Recession from which many of the developed economies have not yet recovered. Indeed, the global economy is now said to be in the throes of ‘secular stagnation’ or a period of prolonged low growth, one of the key causes of which was the recent financial implosion. The most distinctive process and feature of contemporary capitalism is said to be financialisation, which has several dimensions. It generally means that finance or the dynamics of the financial sector have become the central force driving the economy. It means that movements in the production and pricing of goods and services are increasingly conditioned not only by supply and demand in the real economy but by the increasingly autonomous movements in the values or prices of financial instruments tracking goods and services. It also means that speculative transactions overshadow the process of production as the source of profits, leading to a situation in which the wealth of the financial elite in the banking and shadow-banking sectors eclipses the non-financial capitalist elites. Though it accounted for only 8 per cent of the US Gross Domestic Product (GDP), the financial sector raked in 30 per cent of the profits in recent years, with some analysts saying that the actual figure was 50 per cent. What accounts for the dominance of finance in contemporary capitalism? In the standard Economics 101 description of the financial system, it is the subsystem of the economy that channels money from those who have it (savers) to those who need it in order to invest in production (investors). This relationship is what has been lost or delinked in contemporary capitalism, with finance increasingly losing its relationship with production and becoming an end in itself. This delinking of the relationship between creditor and debtor, saver and investor, or financier and entrepreneur has been expressed in different, though complementary, ways by Marx and Keynes. In Volume 2 of Capital, Marx talks about the normal production circuit of ‘M-C-M1' (Money–Commodity–Money) being occasionally displaced by ‘M-M1’ (Money–Money). This occurs, he says, because ‘[to the possessor of money capital] the process of production appears merely as an unavoidable intermediate link, as a necessary evil for the sake of money-making. All nations with a capitalist mode of production are therefore seized periodically by a feverish attempt to make money without the intervention of the process of production’. To Keynesians, the hegemony of finance stems from what Keynes saw as the contradictory functions of money as capital and money as store of value. To Keynesians, the hegemony of finance stems from what Keynes saw as the contradictory functions of money as capital and money as store of value. Uncertainty about the future leads savers to prefer keeping their wealth in liquid or monetary form rather than lent as capital to be invested in production, a phenomenon he famously described as ‘liquidity preference’. 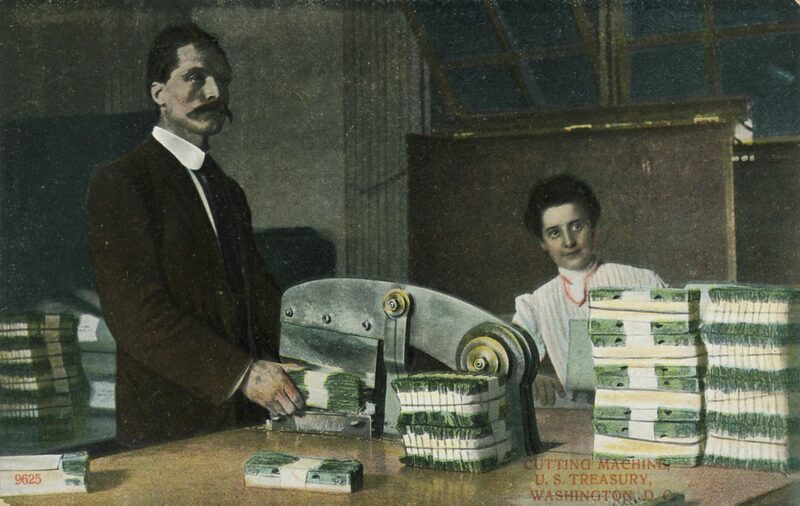 Money as a store of value, say Keynesians Massimo Amato and Lucca Fantacci, ‘makes it possible for saving to be unconnected with concrete goods and to take place rather through the constant and indefinite accumulation of abstract purchasing power….’. This process of accumulation unconnected with production leads to a destabilising expansion of liquidity that is made possible by the creation of multiple forms or instruments of credit that go far beyond the stock and bond markets to embrace the so-called innovations of financial engineering such as mortgage-backed securities(MBSs) and derivatives. With finance increasingly taking on autonomous dynamics of its own, becoming more and more delinked from the productive process, ‘the fundamental instability of capitalism’, argued the famous Keynesian Hyman Minsky, ‘is upward. After functioning well for a time, a capitalist economy develops a tendency to explode, to become “euphoric”’. 'The economy therefore tends towards disequilibrium as these destabilizing financial forces assume ever more speculative forms. Asset price inflation during the peak of the boom will generate an increase in investment and consumption through the various channels of income and cash flows. The critical moment comes when there is widespread realisation that the asset price bubble is about to burst and there is a rush towards liquidity and riskless assets before the value of financial assets collapse. This is the so-called ‘Minsky Moment’, a phenomenon that accelerates the destruction of values. Essentially, this is what happened in 2007-2008. In Marx’s day, financialisation as the key mechanism for creating profits was considered a periodic aberration. In recent years, however, it has become the dominant means of extracting profit. How did this happen? Financialisation stems essentially from the crisis of production that began in the late 1970s. This took the shape of a crisis of overproduction that overtook the global capitalist economy after the so-called trentes glorieuses or ‘Glorious Thirty Years’ of expansion after the Second World War. Overproduction was rooted in the swift and successful economic reconstruction of Germany and Japan and the rapid growth of industrialising economies such as Brazil, South Korea and Taiwan. This added tremendous new productive capacity and increased global competition, while income inequality within and between countries limited the growth of purchasing power and effective demand. This classic crisis of overproduction – or underconsumption, to use Paul Sweezy’s formulation – led to a decline in profitability. There were three exits from the crisis of profitability that capital took: neoliberal restructuring, globalisation, and financialisation. Neoliberal restructuring essentially meant redistributing income from the middle class to the rich to provide the latter the incentive to invest in production. Globalisation of production involved locating production facilities in low-wage countries to increase profitability. While these two strategies brought a rise in profitability in the short term, in the medium and long term they were self-defeating since they brought about a downturn in effective demand by cutting into or preventing the rise of workers’ wages. That left financialisation. Financialisation had a number of key aspects, but three must be stressed. First, financialisation involved the massive creation of indebtedness in the population to substitute for stagnant incomes in order to create demand for goods and services. Much of this debt was financed by the infusion of borrowed money from Asian governments recycling cash to the US drawn from the trade surpluses they enjoyed with the latter. The main avenue taken by to create debt in the US was through the provision of so-called subprime housing loans to a huge swathe of the population. These were loans that were indiscriminately given to home buyers with little capacity to repay them, so that they were essentially ticking time bombs. With mortgages securitised they could be traded, leading to the disappearance of the original creditor–debtor relationship. Second, financialisation involved so-called innovations in financial engineering that would facilitate liquidity. One of the most important – and eventually most damaging – was securitisation, which involved making traditionally immobile contracts such as mortgages liquid or mobile and tradable. With mortgages securitised they could be traded, leading to the disappearance of the original creditor–debtor relationship. Furthermore, financial engineering allowed the original subprime mortgage to be combined with better quality mortgages and sold as more complex securities. 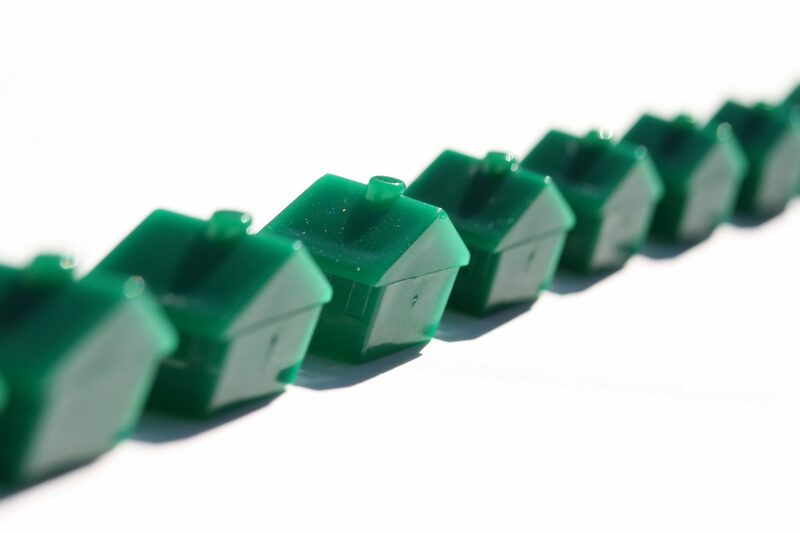 But even as mortgage-based securities were combined and re-combined and traded from one institution to another, they could not escape their underlying quality. When millions of owners of the original subprime mortgages could no longer service their payments owing to their low incomes, this development spread like a chain reaction to the trillions of mortgage-based securities being traded globally, impairing their quality and bankrupting those holding significant quantities of them, like the Wall Street investment bank Lehman Brothers. MBSs were just one example of the innovations of financial engineering, which were broadly known as ‘derivatives’, which were meant to facilitate liquidity, but ended up encouraging massive indebtedness built on a frail foundation of equity or real wealth. Market participants marked by a high ratio of debt to equity were described as being ‘highly leveraged’. How highly leveraged Wall Street was prior to the crisis was indicated by the fact that the value of the total volume of traded derivative financial instruments was an estimated $740 trillion, compared to a world GDP of $70 trillion. Mathematicians hired by Wall Street forms formulated the most complex equations to foster the illusion of quality when in fact securities rested on assets of questionable value, a practice that provoked the legendary investor Warren Buffet to make his famous remark that derivatives were ‘weapons of mass destruction, carrying dangers that, while latent, are potentially lethal’. He emphatically ruled them out of his investment portfolio because he could not understand how they worked. That Buffet’s warning about derivatives was not exaggerated was underlined by the subprime mortgage crisis that hit the US economy in the mid-2000s. The third key feature of financialisation was that many of the key actors, institutions, and products that were at the cutting edge of the process were either unregulated or poorly regulated. Thus there emerged the so-called ‘shadow banking industry’ alongside the regulated traditional banking industry, with non-traditional financial institutions like Goldman Sachs, Morgan Stanley, and American International Group (AIG) serving as the first massive wave of a tsunami that brought with it the introduction of securitisation, financial engineering, and novel products such as MBSs, collateralised debt obligations (CDOs), and credit default swaps (CDSs). The subprime implosion of 2007 revealed the essential dynamics of financialisation as a motor of the economy, that is, that it depended on the creation and inflation of speculative bubbles. Profit-making rested on the creation of massive debt with a very weak foundation in real value or equity. 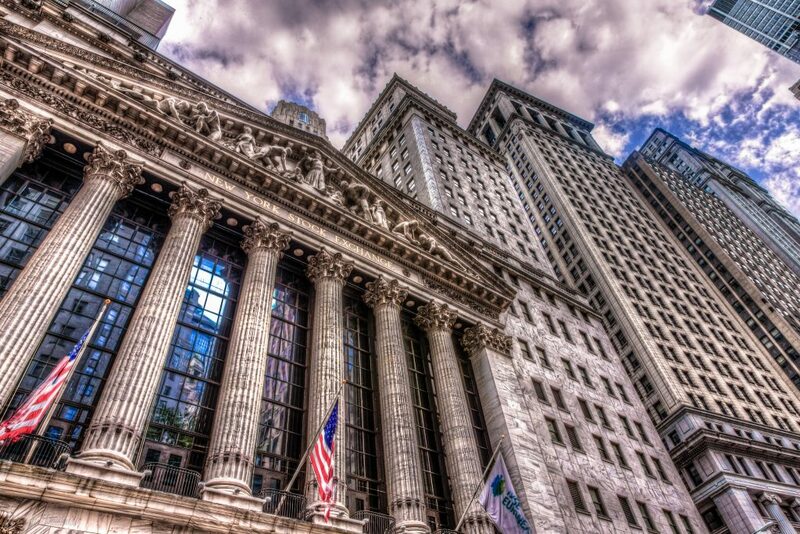 While the illusion of MBSs as solid securities persisted, Wall Street operated like a casino, with investors using different financial products to bet on the movements of the values of assets and their derivative products in order to make a killing. A killing meant buying securities at the ‘right price’ at the ‘right time’, then selling once their price had increased significantly and before they declined. Once events exposed the fragile foundations of high-flying securities, however, market participants panicked and ran for the exits, selling off their holdings as quickly as possible to salvage some value, a process that accelerated the plunge of values to negative territory. In 2008, capital markets froze and banks even refused to even lend to each other, owing to fears that their prospective debtors might be loaded with toxic assets. Lehman Brothers was, in fact, loaded with worthless MBSs. When other banks refused to extend it credit and Washington likewise withheld assistance, Lehman declared bankruptcy. 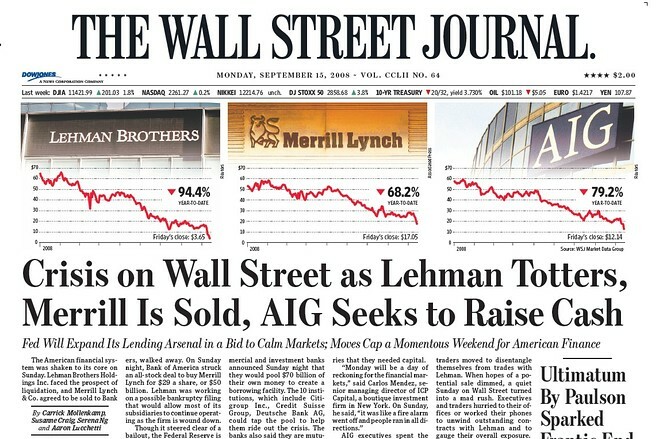 Cover Wall Street Journal, 15 September 2008. Lehman’s bankruptcy pushed the financial system to the edge of collapse, so that the government had to step in to restore confidence in the banking system. Washington bailed out the biggest financial players, with an initial rescue fund of over $700 billion, with supplementary financial support and guarantees over the next few years. The government’s rationale was that Citigroup, JP Morgan, Bank of America, Wells Fargo, Goldman Sachs and other top US financial institutions were ‘too big to fail’ – allowing them to go bust would bring the whole global capitalist system down. Citigroup, JP Morgan, Bank of America, Wells Fargo, Goldman Sachs and other top US financial institutions were ‘too big to fail’ – allowing them to go bust would bring the whole global capitalist system down. The financial crisis was followed by the Great Recession, the second biggest economic disaster to hit the US after the Great Depression. Unemployment rose from under 5 per cent in 2007 to 10 per cent in 2010. By 2015, the number of unemployed was still above the 6.7 million at the officially designated start of the recession in 2007. More than four million homes were foreclosed and thousands were plunged into poverty and great uncertainty as the government prioritised saving the big banks rather than bankrupt homeowners. The ability to remain unaccountable to society despite having inflicted on it a grievous wound is the ultimate measure of power. The bailout of the biggest US banks, despite the obvious bankruptcy of some and the role they had all played in bringing about the worst economic crisis in the US since the Great Depression, testified to the tremendous power that had been amassed by finance capital. Initially regarded by European leaders like German Chancellor Angela Merkel as a crisis that was limited to Wall Street, the financial crisis spread to Europe fairly quickly. In the UK, the crisis followed the US pattern of high leveraging or creation of massive indebtedness by private banks, much of it via the creation and exchange of massive amounts of subprime mortgage-based securities, system failure owing to the destruction of bank balance sheets when these securities became toxic, then the state stepping in to save the banking system. In Ireland and Greece, especially the latter, the second phase of the global financial crisis kicked in: the so-called sovereign debt crisis. Massive indebtedness of private banks and, in the case of Greece, the state itself, to foreign banks forced the state, owing to tremendous pressure from the domestic governments of these banks, to assume responsibility for repaying all debt, both private and public. 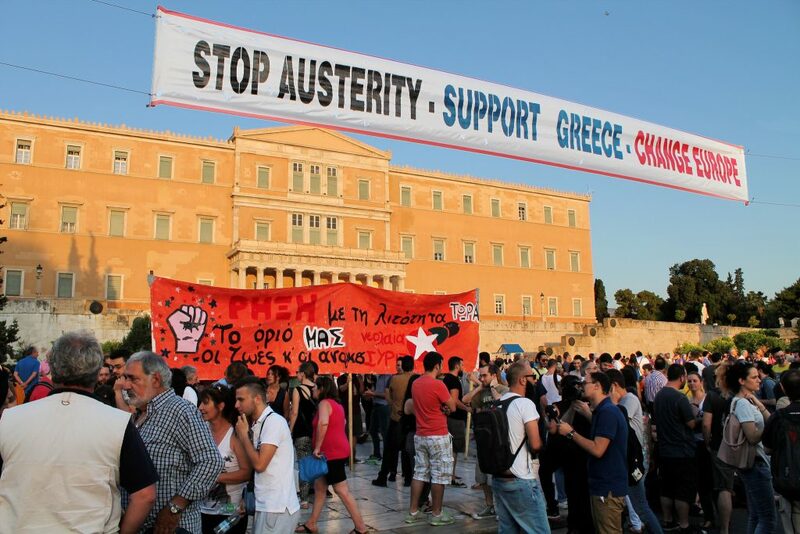 To save the highly exposed German and French banks, the European Union (EU) establishment and the International Monetary Fund (IMF) provided loans to the states in severe crisis that were then transformed into payments to the private banks, with the condition that these states impose harsh austerity programmes that were ostensibly meant to cough up the resources to repay the loans to the official lenders and nurse the afflicted economies back to health. There was, however, a contradiction at the heart of this formula. Germany’s government and the other governments of the rich Northern Europe demanded that the Southern European countries and Ireland deepen austerity measures in exchange for official loans to stay afloat. However, the austerity measures crippled the ability of these economies to grow and produce the surplus to repay the loans, making repayment an ever more distant possibility with each new loan extended the supplicant. As Varoufakis correctly forewarned, the situation in Greece in 2018 had not improved and the country was locked in permanent austerity and permanent indebtedness. While not as dire, the situation in Portugal, Spain, and Italy was essentially the same. There were obvious differences in the way financial crises unfolded in the US and Europe. But there was one thing that they shared: the ability of the financial sector to go unpunished and remain unaccountable for its massive mistakes. As in the US, this was the ultimate measure of the power finance capital had achieved over both society and the state. When Barack Obama became the US president in 2008, one of his priorities was to fix the global financial system. Ten years later, it is evident that owing to a combination of timidity on the part of government and resistance on the part of finance capital, little reform took place under Obama and his counterparts in the rest of the world, despite the high-sounding commitments to global financial reform made by the Group of 20 Summit in Pittsburgh in 2009. First, the ‘too big to fail’ problem has become worse. The big banks that were rescued by the US government in 2008 because they were seen as too big to fail have become even more too big to fail, with the ‘Big Six’ US banks – JP Morgan Chase, Citigroup, Wells Fargo, Bank of America, Goldman Sachs, and Morgan Stanley – collectively having 43 per cent more deposits, 84 per cent more assets, and triple the amount of cash they held before the 2008 crisis. Essentially, they had doubled the risk that felled the banking system in 2008. Second, the products that triggered the 2008 crisis are still being traded. This included around $6.7 trillion in mortgage-backed securities sloshing around, the value of which has been maintained only because the Federal Reserve bought $1.7 trillion of them. US banks collectively hold $157 trillion in derivatives, about twice global GDP. This is 12 per cent more than they possessed at the beginning of the 2008 crisis. Citigroup alone accounts for $44 trillion, or 50 per cent more that its pre-crisis holdings, prompting a sarcastic comment from one analyst that the bank seems ‘to have forgotten the time when they were a buck a share’, alluding to the low point in the bank’s derivatives’ value in 2009. Third, the new stars in the financial firmament – the institutional investors’ consortium made up of hedge funds, private equity funds, sovereign wealth funds, pension funds, and other investor entities – continue to roam the global network unchecked, operating from virtual bases called tax havens, looking for arbitrage opportunities in currencies or securities, or sizing up the profitability of corporations for possible stock purchases. Ownership of the estimated $100 trillion in the hands of these floating tax shelters for the super-rich is concentrated in 20 funds. Fourth, financial operators are racking up profits in a sea of liquidity provided by central banks, whose releasing of cheap money in the name of ending the recession that followed the financial crisis has resulted in the issue of trillions of dollars of debt, pushing the global level of debt to $325 trillion, more than three times the size of global GDP. There is a consensus among economists along the political spectrum that this debt build-up cannot go on indefinitely without inviting catastrophe. Liquidity provided by central banks pushed the global level of debt to $325 trillion, more than three times the size of global GDP. Fifth, instead of more tightly controlling the financial sector, some countries have followed the advanced capitalist economies in liberalising it. In China, the world’s second biggest economy, this has created a dangerous conjunction of factors that could lead to a financial implosion: a volatile stock market, a property bubble, and an unregulated shadow-banking sector. The number of vulnerable points in the world economy has increased and all are candidates for the next big crisis. Move towards full political, fiscal, and monetary union in the Eurozone countries or exit from the euro. The proposed measures constitute a ‘minimum programme’, or a set of moves that strengthen the world’s defences against another financial crash, albeit not eliminating the possibility of such an event. 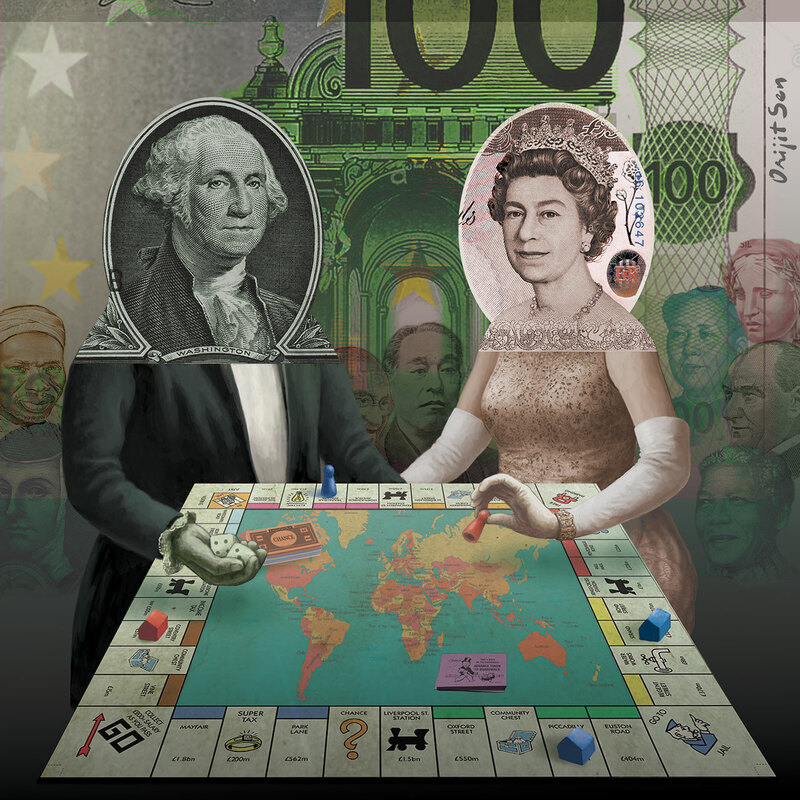 Capitalism as a system is structurally prone to generate financial crisis, and the programme outlined above assumes a global economic system that continues to function under its rules. The successful implementation of these reforms would be a giant step in a longer process of transformative change. That change cannot, however, take place without fundamentally addressing other key dimensions of capitalism, especially its engine: the insatiable desire for ever greater profits. Ultimately, it is the dynamics of the real economy that determine developments in the financial economy. This is not a novel insight. From the perspective of Marxist economists, the gyrations of the financial economy are a result of the deep-seated contradictions in the real economy, in particular the tendency towards overproduction, or supply outstripping demand owing to the persistence of great inequality. If weak demand in the real economy brought about by inequality is the problem, then it is obvious that the monetary measures taken over the last few years by financial authorities such as ‘quantitative easing’ of credit flows and negative interest rates to counteract recessionary pressures can bring only very limited and temporary relief to an economy in crisis and may in fact deepen the crisis in the medium term. Indeed, without addressing the crisis of demand in the real economy, a reformed financial sector would find it difficult to resist the intense pressures for capital to seek profitability in finance rather than in a stagnant productive sector. For some, then, the most urgent need is how to reform capitalism. In their view, a programme of financial reform would have to be integrated into a more comprehensive programme of drastic reform of capitalism. This enterprise would have to seriously address the lack of demand rooted in increasing inequality. It would have to bravely acknowledge its roots in the unequal power relations between capital and labour, how this unequal power translates into increasing inequality, and how inequality translates into anaemic demand that acts a brake on the expansion of production. For others, the situation demands a solution beyond a reform of capitalism, even of a radical Keynesian kind. From their perspective, capitalism’s constant search for profitability is a fundamental source of instability that will ultimately undermine all efforts at reforming it – as happened to post-war Keynesianism in the late 1970s. Moreover, what needs to be addressed is not just social inequality and lack of demand but the drive of the productive system to grow at the expense of the biosphere. What is needed, they say, is a post-capitalist programme, made all the more urgent by the climate catastrophe in the process of unfolding. Indeed, in some circles, a strategy of ‘de-growth’ is increasingly seen as necessary. Amidst this increasingly heated debate on alternative systems, there are two things on which there is consensus. First, that continuing on the current path of a loosely regulated finance-driven capitalism is to invite another financial catastrophe, perhaps one worse than the 2007-2008 crisis. Second, that moving away from this road to ruin will necessitate taking on and breaking the power of finance capital. Walden Bello is the International Adjunct Professor of Sociology at the State University of New York at Binghamton and a TNI Associate. He has written or co-authored 23 books, two of which will be published this year – Counterrevolution: The Global Rise of the Far Right (Nova Scotia: Fernwood, 2019) and Paper Dragons: Why Financial Crises Happen and Why China Will be Next (London: Zed Press, 2019).